Intuition is the ability to acquire knowledge immediately without proof, evidence, or conscious reasoning, or without understanding how the knowledge was acquired. We all have Intuition, it is a sense that runs like an "Internal Navigation System". Quite often we are using our Intuition without full awareness of the process. We may not always realize how the system works because of the inability to trust it. How aware of your senses are you? You may already be aware of your Intuition. You may also be trying to understand more about how to use it and fully understand it. 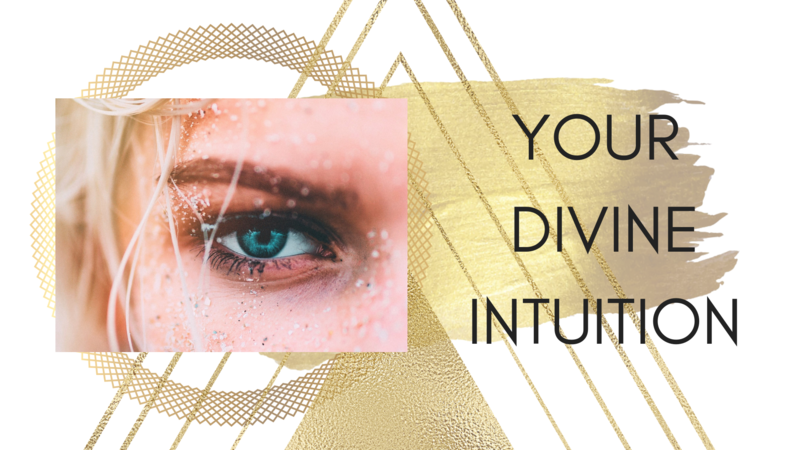 Allow me to guide you through the process of understanding your Intuition and truly developing it. Understanding your Intuition will lift you to another level of happiness in life. Deepening the sense will assist you in making better life choices, to trust and follow though with plans, to build your discernment skills and to ultimately live a more harmonious lifestyle that is inherently yours. 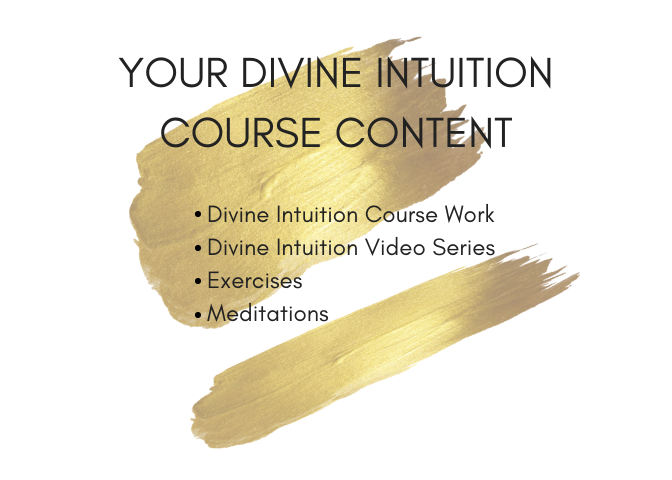 Your Divine Intuition Course is a 4 week program. This course is for the student who would like to build on their spiritual awareness and begin to really trust more in oneself. This course is also great if you have just started to tap into other abilities. You will really begin to build on your trust in order to accept yourself as an Intuitive. This is a chance to allow yourself to really understand who you are as a spiritual being. Have faith and use this time to begin the journey of self discovery. What can I expect from taking this course? 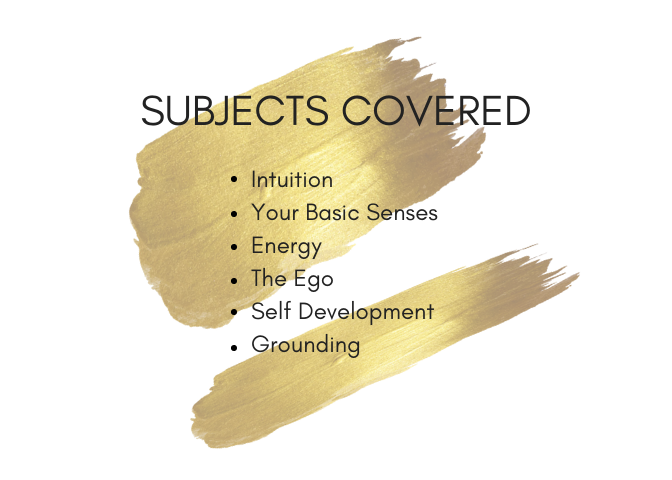 This class will give you all the tools that you will need to enhance your intuition using various exercises , meditations and activities. You will receive a video series, course work and homework to complete on a weekly basis. You will also have various study options with this course. You can either learn in your own time within a self study platform, or take the group class for extra education with your teacher and other classmates. Group classes involve more teachings with me personally through video conferencing. The group course will take you to another level of growth and will give you an opportunity to ask direct questions. You will also receive more activities and exercises as well as being able to really engage within the group. Self study maybe an option for you if you have limited time and are more comfortable within a private setting. You may also prefer a more stylized advance study with me one on one. The private course caters more to you the student as I help you personally with development. Are you needing to create your own schedule? If you are limited with your schedule and wish to take your time with the course then this option will allow you to learn within your own time. Engage with other students and receive direct live teachings through weekly meetings via zoom conferencing. You will receive extra content and will be presented with a certificate of attendance upon completion of this course. This class is held within a group setting in a one day class and you will receive all the content within the online course. You will also receive a certification of attendance upon completion of this course. This course contains all content from the group class but you will also receive private mentoring with me to really advance in your spiritual growth. You will be able to engage with me and receive more personalized education. You will also receive a certificate of attendance upon completion of this course.